Uveitis, or eye inflammation, can be caused by allergies, bacteria, or a virus. The presence of a foreign object can also cause inflammation. While typically a mild condition that is not harmful, if left untreated the inflammation can lead to damage and destruction of the eye tissue which can ultimately lead to loss of vision in some cases. Your eye doctor can evaluate the inflammation and offer further direction in treating your symptoms. Inflamed eyes is a wide-reaching category of eye discomfort that includes almost everything that causes discomfort of the eyes. Swelling can also be associated with this condition which can necessitate an eye exam to ensure the condition does not worsen. 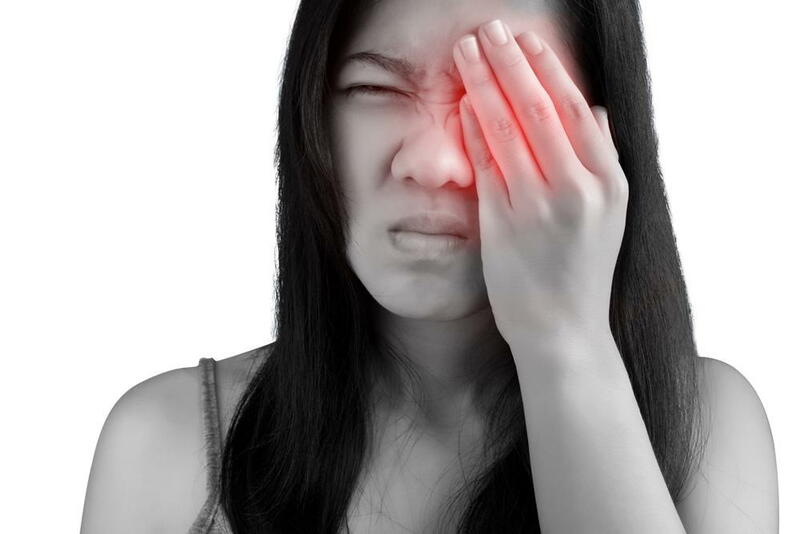 Burning, itching, and redness are common symptoms of eye inflammation. If you are experiencing inflammation that does not dissipate in a day or two with the use of cold or warm compresses, it is always best practice to seek medical advice. What is the Cause of Inflammation in the Eye? There are many causes of inflammation, from getting a foreign object or chemical substance into the eye, to allergies and reactions to medications or other medical conditions. Something as simple as being outside on a windy day with a lot of dust flying around can cause inflammation. If you are eyes are inflamed rinse them thoroughly with cool water and make sure that there are no foreign objects or dust in the eye. If you are suffering from allergies, an antihistamine will be effective in relieving mild symptoms. Patients that suffer from autoimmune diseases may experience frequent eye inflammation due to their medical condition. There are other medical conditions that can exacerbate eye sensitivities and such cases should be thoroughly discussed with your physician. If your symptoms do not go away on their own after a short period of time, it may be the sign of a more serious condition. Patients that are concerned about experiencing any of the symptoms listed above, please give our office a call today at 617-859-0630 to schedule an appointment. Eyes over Copley is conveniently located at 10 Huntington Avenue in Boston. Have you experienced eye inflammation before? Which treatments worked best for you?